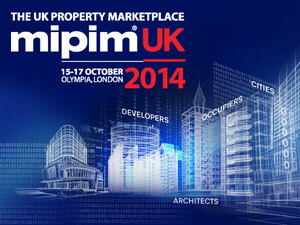 Following the huge international success of MIPIM Cannes, MIPIM UK will be taking place for the first time this year at London’s Olympia on 15-17 October 2014. MIPIM UK will bring together the whole of the UK property industry, comprising all markets and sectors, along with international investors, under one roof, providing a genuine showcase for all parts of the UK. The inaugural MIPIM UK will provide a platform for the UK property industry not only to do business, but also to discuss the future needs of the UK cities and regions and the requirements of those that work and live in them. 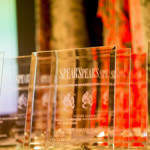 More than 3,000 people from across the UK and the global real estate market are expected to attend. It covers the breadth of the built environment process, appealing to people engaged in urban planning, to project funding, to construction and development, to leasing, to investment sales. The biggest constituents will be developers, agents, investors, fund and asset managers, landlords, local authority executives, planning consultants, architects. With more than 50 conference sessions & events and over 100 speakers, the conference programme will provide the perfect backdrop for the UK market. Speakers and delegates will gather to set the agenda for the year ahead and to address the key issues and the future of UK real estate.